The CARIFTA Triathlon and Aquathlon came to an end in Tobago recently, with the Bermuda team finishing second on the points table out of the eleven nations. 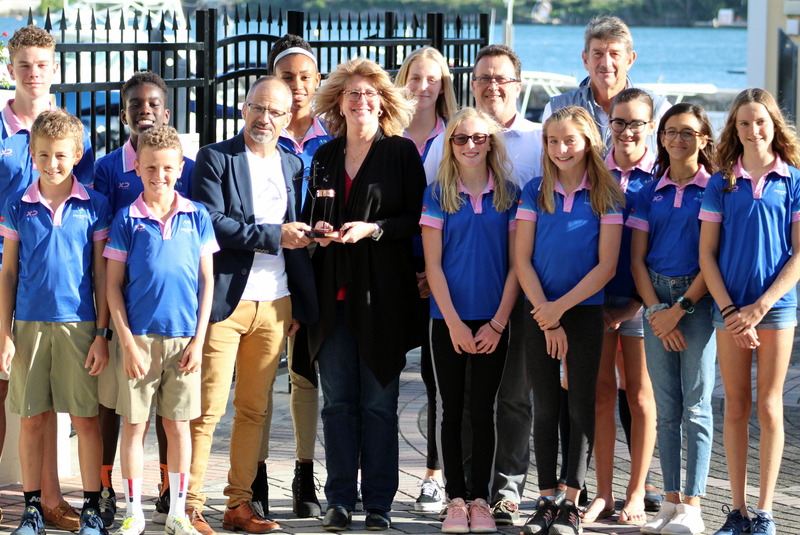 The Bermuda team gathered to thank their sponsor Tokio MillenniumRe and present them with the second place team trophy they won. Whilst in Tobago on the opening day Bermuda captured four Medals with Jasmin Hasselkuss winning the 11-12 Girls Triathlon and Nick Pilgrim earned a Gold Medal in the 13-15 Boys Triathlon. Ashley Irby won the Silver Medal in the Girls 16-19 Aquathon and Bella Howes claimed a Bronze in the 11-12 Girls Triathlon. On Day Two Bermuda’s young triathletes claimed two more Medals, with Hasselkuss winning Gold in the 11-12 Girls Aquathon, while Daria Desmond claimed a Bronze Medal in the same Division.